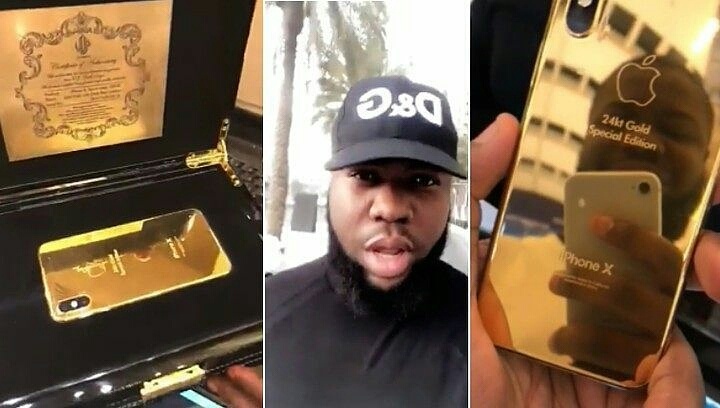 Malaysian-Based-Nigerian Big Boy, Ray Hushpuppi Sings Praises After Purchasing Customised Gold iPhone X In Dubai. Malaysian-based-Nigerian big boy, Ray Hushpuppi is best known for his luxurious lifestyle he lives both home and abroad. 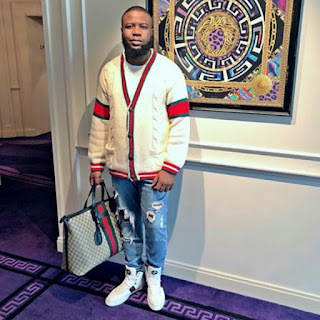 The young man has taste for good things as he is highly fashionable.